Pasta dinner and light stretching aside, the best way to prepare for this year's Tamarack Ottawa Race Weekend was to hang out with the consummately entertaining and insanely talented Chantal Kreviazuk at the Shaw Centre on Friday night. Red, White and Gold: An Amazing Evening with Chantal Kreviazuk was hosted by Amazing People Ottawa in partnership with Tamarack Ottawa Race Weekend. The Winnipeg-born chanteuse charmed the crowd of 250-plus in the Trillium Ballroom, performing on a grand piano from Steinway Piano Gallery Ottawa. She also mingled with Ottawans (a term she only learned that evening) during a VIP reception held immediately before the intimate and interactive concert. She played some of her new material, as well as her classics. 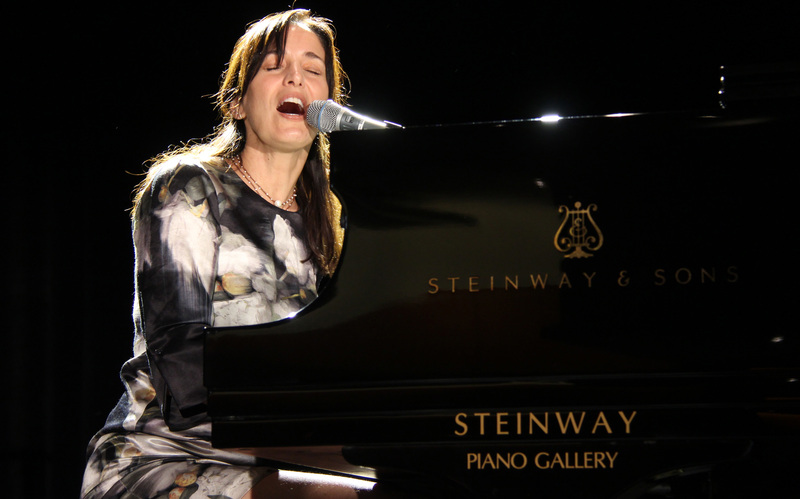 “You got to play your hits, you know, because they’re the songs that make people know you,” Kreviazuk told the room. Seated in the front row was former governor general Michaëlle Jean. She and her husband have created and are co-chairing a foundation in Jean’s name that helps disadvantaged youth change their lives and their communities through the arts. The Michaëlle Jean Foundation is now working with Amazing People, the philanthropic arm of Ottawa Media Group, led by Kimothy Walker and Eric Collard. The Amazing People charity gala, slated for this October 21, will shine a light on the extraordinary work being done by some of the unsung heroes in our community. Beneficiaries of the gala also include HERA Mission and SchoolBOX. The evening kicked off a series of Canada 150 celebrations that are being planned by Amazing People throughout the year. 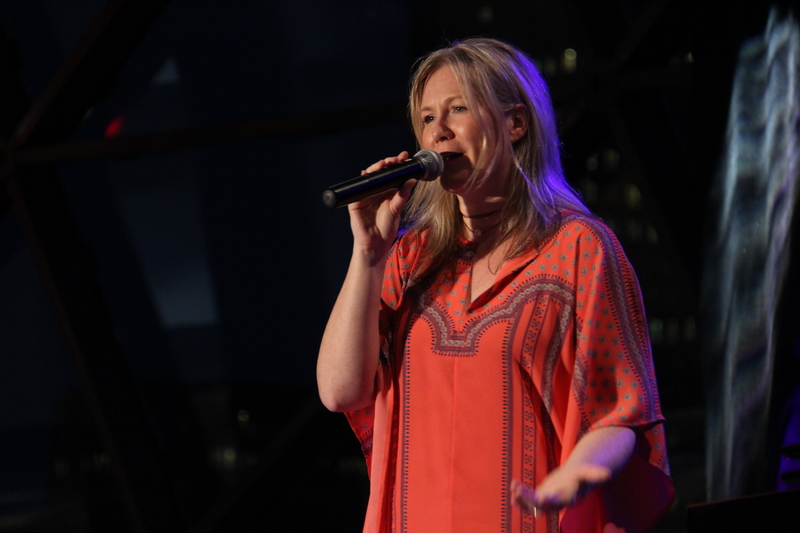 “We really wanted to start it off with a ‘go big or go home’ event,” creative director Tara Shannon told the crowd before introducing Kreviazuk to the stage. At the event were Ontario Attorney General Yasir Naqvi and Ottawa Police Chief Charles Bordeleau, both of whom ran the half marathon on Sunday. Also seen were Nepean-Carleton PC MPP Lisa MacLeod and Stéphane Giguère, CEO of the Ottawa Community Housing Corp. The vice chair of his board, Deloitte partner Dan Doré, was there on behalf of his firm, which sponsored the benefit concert. Ottawa Race Weekend organizers and supporters, such as race director John Halvorsen and running guru John Stanton, founder of the Running Room, were present, as well.